Southern Tier Security provides Guard, Watch, Patrol services under NYS department of State. Our guards are NYS certified, insured and bonded. Referral promotion going on now: Our customers are our best advertising. When you refer a customer to us and they meet established the requirements, you will receive a reduction in your rate. Contact Jamie for more details. Physical security can't be replaced, but it can be assisted with surveillance cameras, STS is an authorized dealer of LOREX, let us provide you with 100% coverage, that can be controlled from your portable device. 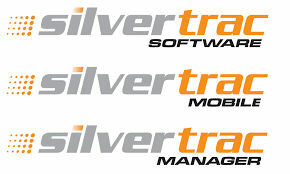 To make your investment even better, we utilize Silver Trac for our Guard Management Program. Giving our clients real time access to what's happening at their sites. YeaVoice is our choice for cloud computing and VoIP phone systems. 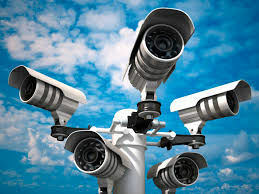 Reliability is what you expect from Southern Tier Security, we get the same from YeaVoice. Company's large and small will see the value by making YeaVoice their choice. Southern Tier Security, is the only Southern Tier based security company. Our national network of guards can provide your company with highly trained, knowledgeable staff on time every time. Our price points are start around 24.00 an hour for unarmed service. While long term contacts, discounted pricing. All our contacts include access to our guard management program, 24-hour Operations Center at no additional charge. At no time is there more three tiers to our Executive Team, they are only a phone call away. Yes, Southern Tier Security will provide you with value pricing, because of our low overhead and turnover. All of our guard are former Military, Law Enforcement, and/or have management experience in their field of expertise. All our guards exceed New York State training requirements annually. each guard receives Sexual Harassment training, HIPPA, and bloodborne pathogen straining. Our guards understand the need to be the best performers and strive to meet the challenges of the career field. Our armed guard qualify on their weapons at least 3 times annually, we train like we respond, so we can respond like we train; each time every time. At Southern Tier Security, we look at value in a whole new light. Value is more than just price. It’s a piece of mind. Knowing that your property is safe while your away. Value is price, professionalism, quality customer satisfaction, along with dedicated staff is truly the best investment. Along with our Guard Management applications, you will always what is going on 24/7. Our management team is only three layers deep. From our CEO to our Site Supervisors there is communications that goes both ways, Operations along with our Human Resources department insure that our front line members always know what is going on and if there is a problem, our open door policy includes our CEO’s mobile phone number.